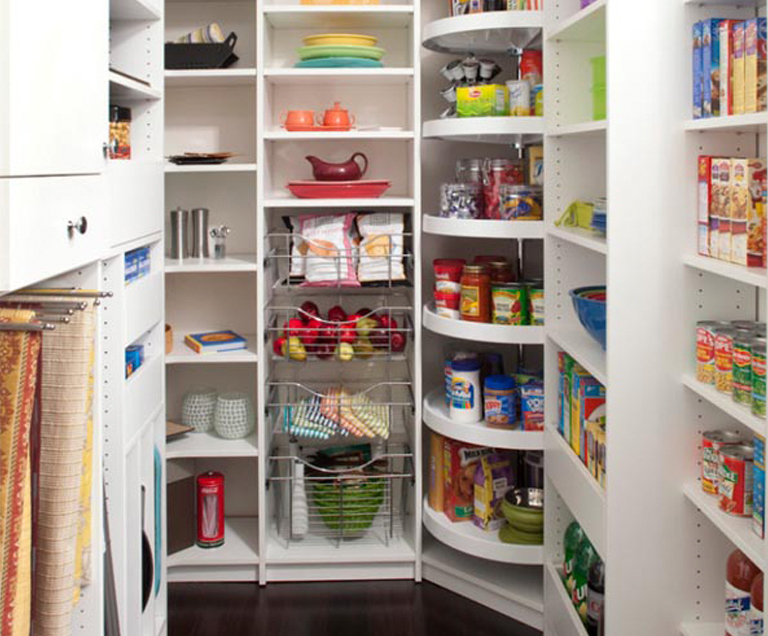 Custom closets, custom shelving and organizational storage solutions for every room in your home - from a kitchen pantry to garages. Is your reach-in or walk-in closet bursting at the seams with unorganized clothing and accessories? 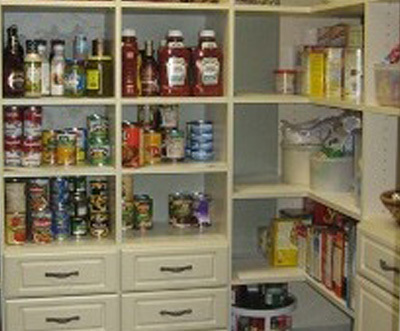 We can solve your organizational needs! Walk-in closets benefit from a host of organizational solutions, and The Custom Closet Company will be happy to design the perfect one for your home. 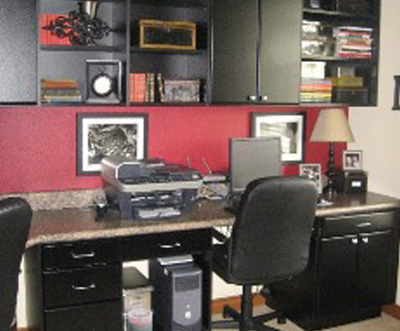 Whether you are creating a new space, want to update an existing one, or just need to organize the clutter, we can address all of your home office storage needs. 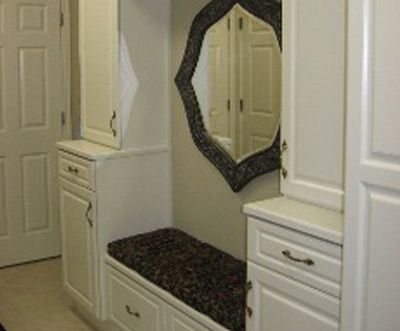 Reach-in closets often have hidden potential for stellar storage space if designed properly. We can craft & install well-designed solutions for you. Here at The Custom Closet Company we expertly assess the problems and needs of your current home organization, then we craft and install well-designed solutions for you. 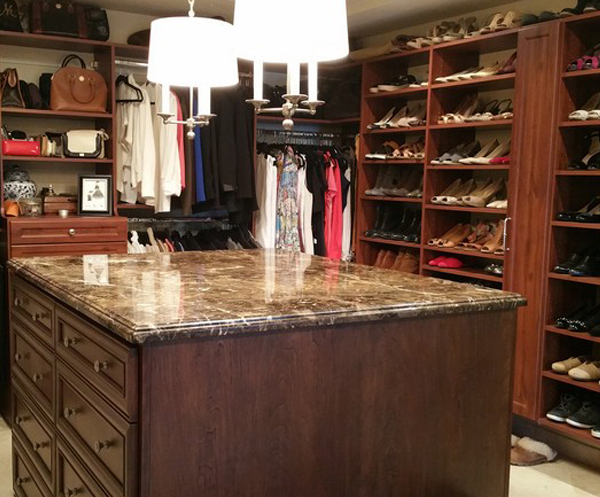 After years of working in the home design and installation fields, Kathy and Mike Musick combined their talents and founded The Custom Closet Company in 1990. It was their vision to offer smart storage solutions that look good and are well crafted and installed. Kathy and Mike know the unique challenges homeowners face when confronting their organizational needs and addresses them with a unique and personal touch. 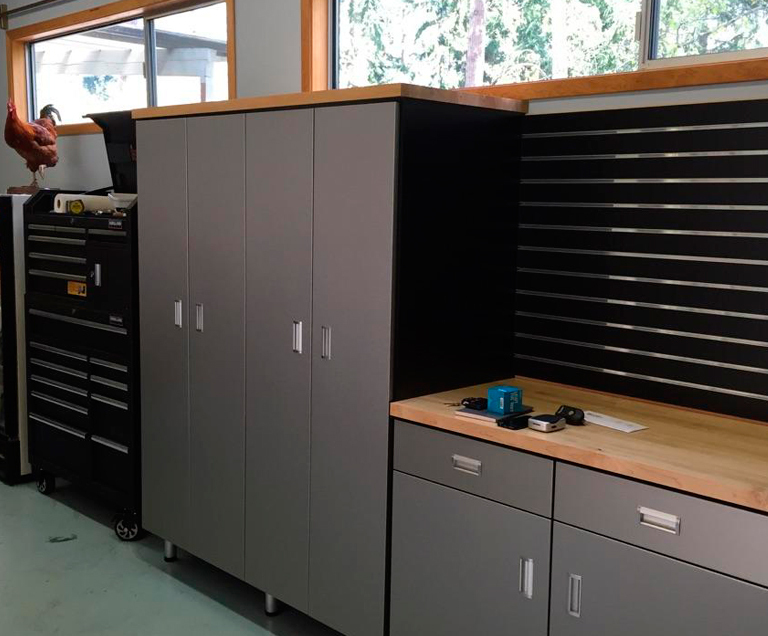 By combining their expertise in home design and custom installation, The Custom Closet Company offers Puget Sound homeowners the organizational solutions they desire. The Custom Closet Company proudly serves the Puget Sound including: Seattle, Bellevue, Issaquah, Renton, Kent, Auburn, Tacoma and Olympia just to name a few! Thank you for your wonderful design and professional work in our home. We are thrilled with our closets, pantry and study desk!!! I find The Custom Closet Company to be a most professional business to work with. Their products are high quality, the installation crews are conscientious and very tidy, my deadlines are always met. Mike and team gave me my garage back! They installed cabinets and shelves in just the right places. I love it! Utilizing their years of home design and installation expertise, The Custom Closet Company creates custom designs to fit just your style. We take into account all of your needs and preferences when creating your custom design. We then set to creating and installing your custom design using high-grade materials that will ensure your design lasts for years. The Custom Closet Company strives to make the best custom fit for your home using the highest quality materials available. We are not held back to only the stock on hand selection you may find with the nationwide brands. 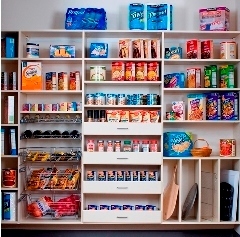 Simply removing the clutter with a custom storage solution is just one of the benefits of having a well-organized home. Spending less time looking for something and more time being productive can be accomplished with customized storage and closets. When there is a place for everything, and everything is in its place…no more stress! The Custom Closet Company is the premier home design, custom closet and organizational solution installers in the Pacific Northwest. We have been designing and installing custom closets and organizational solutions that transform homes and lives since 1990. Our team at The Custom Closet Company can seamlessly mix interior design with organizational expertise to design the perfect custom closets and storage solutions for your home. 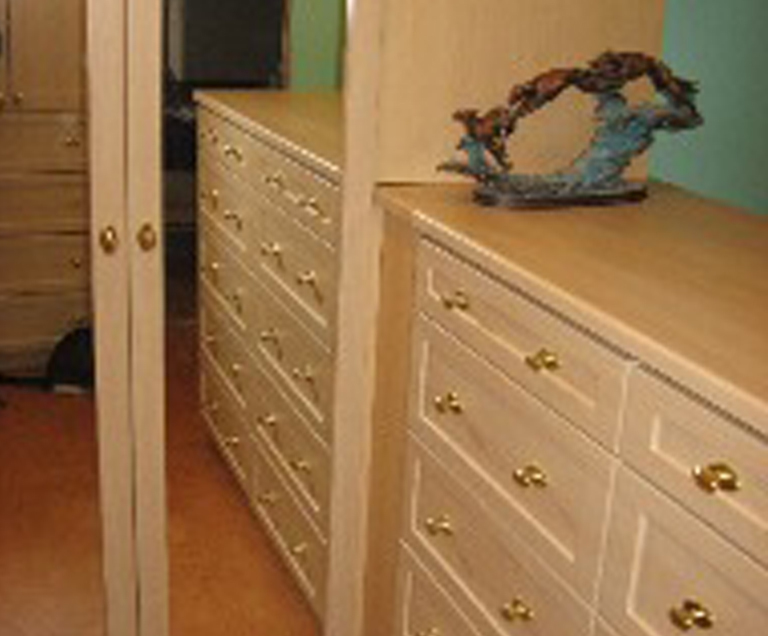 When installing your custom closets or storage solution, we use only high quality building materials, creating a custom design that will function for years to come. Our pride comes from our customer's happiness with their new closet and storage solutions. If your ready to get organized, call us today and we will design and install the perfect custom closet or storage solution for your home. Closet space in your home can often times be tight. We can customize closets and help you find the best solution, whether it is a tiny small hall closet or a huge walk-in closet in your master bedroom. We are here for every closet job, big or small. Our closets are built locally. If it is your dream to have a one of a kind closet system then we are able to help you create skillful and functional ways to make your closet space work best for you. 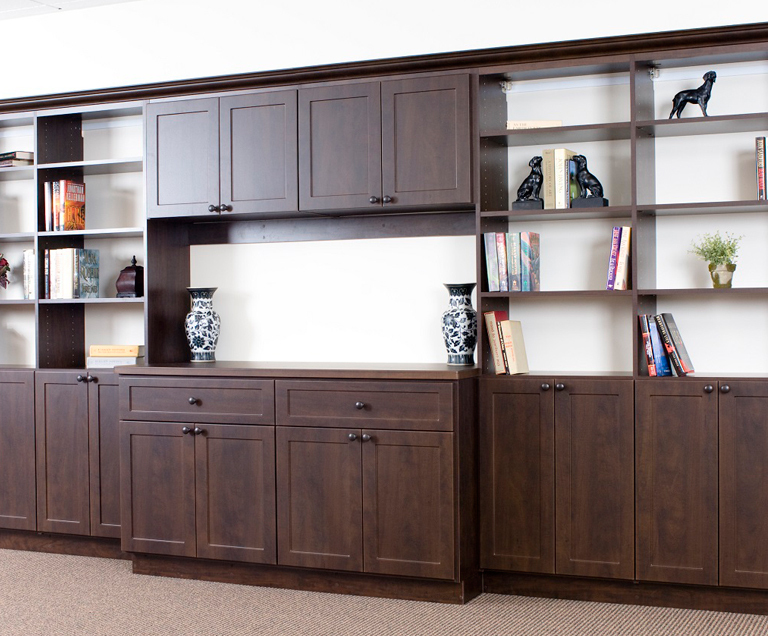 Our closet fabrication department is ready to help you construct any type of walk-in closet, pantry closets, office closet shelving and home theater closets or bookshelves. Since 1990 our closet company has developed an entire team of closet experts. We are here and ready to listen to your needs and help you maximize your spacing needs and then develop a design that will truly organize your closet space in your home or living area. Call The Custom Closet Company for an appointment to get organized today!